On March 29, 2011 Le Creuset® Glass Lids were recalled by Health Canada. HA 8100-30: 30 centimeters Shallow Casserole with Lid set; UPC 630870041959; Reference Number 96200230000400. The glass lids can crack or break during use, posing a laceration hazard to consumers. Le Creuset® of America Inc. has received five reports of lids breaking in use. However, no injuries have been reported. 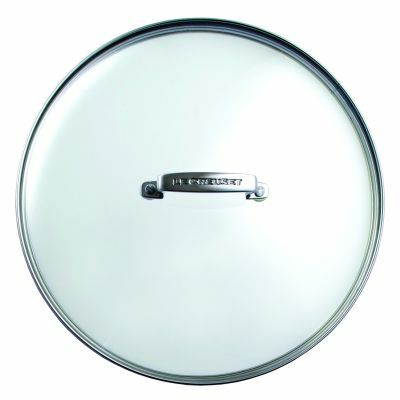 At time of the recall neither Health Canada nor Le Creuset® Canada Inc. has received any reports of injuries in Canada related to the use of these glass lids. You should immediately stop using the affected glass lids and return them to Le Creuset Canada Inc. for a full refund of the purchase price. For more information, consumers may contact Le Creuset® Canada Inc. at 1-866-666-6162 between 9 a.m. and 5 p.m. ET Monday through Friday, or email the firm at moc.tesuercel|llaceryratnulovsdil#moc.tesuercel|llaceryratnulovsdil or visit the firm's website. Approximately 93 of the affected glass lids were sold at Le Creuset authorized dealers in Canada. The affected glass lids were sold from September 2010 to November 2010. These glass lids were manufactured in China. The importer is Le Creuset®Canada Inc. of St. Catharines, Ontario. Is just one cigarette okay? Stroke prevented with water pills?